Before getting started and to avoid confusion, the card system that is described below is an addition to the standard mechanisms currently in BR, like training, match tactics and so on. These systems themselves have been upgraded and improved, but they will be explored in subsequent posts. This post will just say a little about the card system that sits on top of all the other systems. Every building, from the Academy building through to the Training building, including the Stadium itself, will be providing the user with a free deck every day – one deck per building. A deck is a number of randomly generated cards relevant to the building that provides the deck. The quality of the cards in a deck, and the quantity of cards within each deck, are determined by the tech advances the manager has invested in while developing these buildings. The cards a user receives enables them to boost or benefit their club in various areas of the game, relevant to the type of card, and so help shape the destiny of their club. There are different types of cards, from academy and contract cards, through to training and tactical cards, and more in between. In a later blog post we will go into more detail about the different categories, but for now it is enough to know that there are a number of such categories within the game. In addition, each card has a specific focus. Within a category of cards there are a variety of focuses possible – a training card might have a focus of Passing or a focus of Tackling, for example, or a tactics card might have a focus of Scrum or of Lineout. 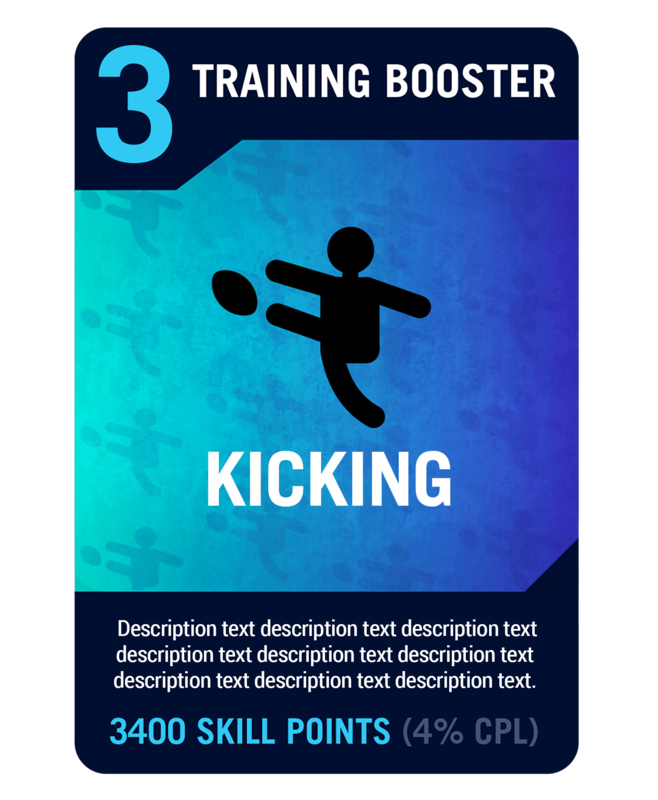 A card provides a bonus of some sort in the area of the card’s focus – a training card with a Passing focus, for example, would boost the training of the passing skill when played onto a training session, whilst a training card with a focus of Kicking would boost the benefits of kicking training within the session. The free decks a user receives every day will always supply enough cards to play in every available slot that day. 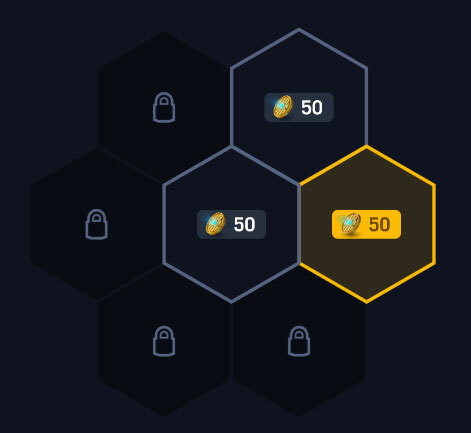 If a user wants more cards than their free decks supply them with, to add more choice of which card to play in each slot, then additional decks can be purchased by spending tokens. In addition, played cards can provide synergy bonuses. These are additional bonuses if the card is played into a slot where the focus is a direct match to a specific area the slot covers. Sounds complicated, but actually it is rather simple. Hopefully an example will make it clearer. Suppose a training card is played into the slot attached to a training session aimed at prop forwards. This session will be training a variety of skills needed by props, but some of those skills will be designated as key skills. If the card’s focus matches one of these key skills then that skill gets a small additional bonus, called a synergy bonus. We haven’t covered slots yet, so time to explain what a slot is. Cards are played into slots. Normally each area will have one slot available for a card to be played into it, but with tech advances it is possible to add a second, or even a third slot in some cases. For example, each training session has one slot available (or two with the right tech advance). A match might have one slot available for a tactic card, but with tech advances might eventually have up to three slots per match. A user strategically plays the cards they want into all the slots they want to, which will normally be all of them. An important thing to remember here is that a user receives, for free, enough cards to be able to fill every slot available that day. A non-paying user and a paying user have the same amount of slots available, and each has enough cards to be able to fill all the slots and gain the card’s benefit. 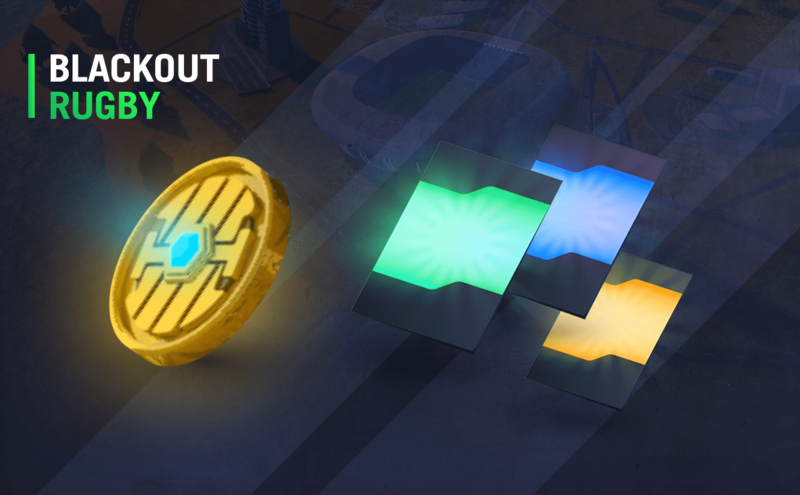 Tokens are used to purchase various things within the game. When the game first launches tokens will be limited to purchasing items like additional decks, premium stadiums, or things that we would prefer didn’t happen very often, like changes to a club’s timezone or name. 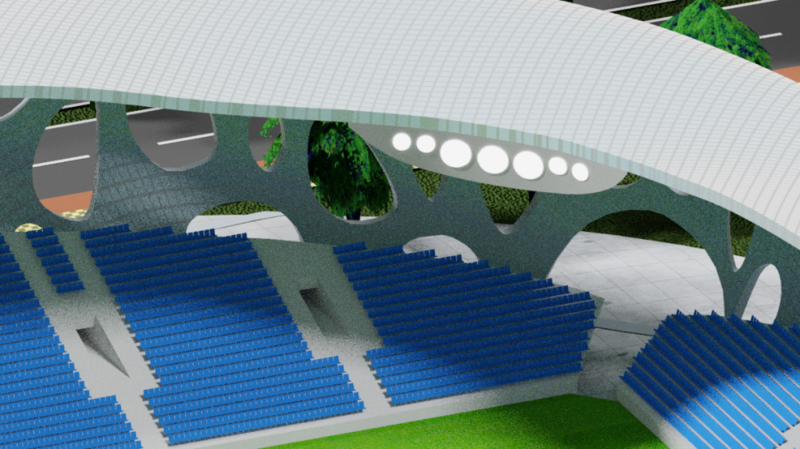 Eventually we will add the ability to spend tokens on more things like uniform upgrades and other types of stadium and grounds customisations. Running the original Blackout Rugby has shown us how passionate the BR community is and how much people care about the game and want the best for it. We want to respect and honour that and so our token system is not designed to milk every cent out of our users. 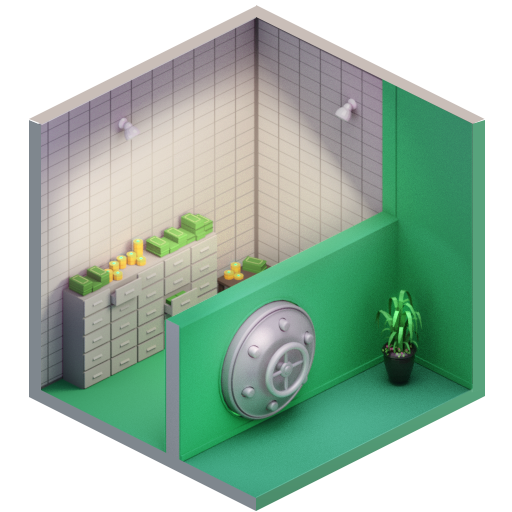 While tokens will enable users to purchase useful things, like additional decks, the system is designed so that the game provides sufficient free daily tokens to perform crucial tasks, and on top of that extra tokens are provided through various rewards and prizes. Whilst a user can purchase tokens with real money, the aim is to make it possible for the dedicated manager to earn enough tokens that they do not feel the lack. More casual managers may well feel the need to purchase tokens, though the system has actually been designed to enable a user to play and compete even if the user never collected any tokens at all. In addition, the BRU (Blackout Rugby Union) will also gift cards from time to time, such as a card that might allow the changing of a club name or a time zone for free, or supply additional free decks, special cards, and other goodies. We have been listening to the views of the community expressed in the original game, and those views have helped shape the whole design process. One of the major concerns has been about Pay-to-Win in the new game, and the design has taken those concerns to heart. We want to ensure that those who don’t want to invest real money can still compete with those that do. This brings us neatly onto the topic of Pay-to-Win and Pay-for-Variety. Before diving into the detail of PTW and PFV, it is important to explain the financial philosophy that underpins the company’s business model for the new game. One of the key questions faced in the game design was how to balance the need for the game to create income, with that of the ugly monster, Pay-To-Win (PTW). BR Classic (our name for the original Blackout Rugby) avoided PTW by limiting the benefits of paying to a slightly easier user experience, through the use of premium membership. While that model did remove PTW, it did not provide the income returns that the game and business really needed. It was enough to keep the game running, provided that the whole development was a one-man show, but that was about it. In addition, for the new version it was important to us that all users have the best experience the game can offer, so having premium only features did not seem the right avenue to pursue in the new game. We will still have auto-renewing subscriptions which generate tokens for those who prefer subscriptions to the burden of manual micro-transactions, but these subscriptions just provide a supply of additional tokens, plus perhaps some other goodies, and not a premium experience, as all users will be receiving a premium experience! The new version, therefore, will not use the premium membership financial model. Not only does the development of the new game require a dedicated team of full-time professional programmers and artists to create, but the business model itself is different. Our aim is to make Blackout Games a premier brand in the field of on-line sports management, so it is necessary to create an economic model for the game that can help the growth of the company, both for the current game and future projects. In addition, we did not want to have banner ads showing up in permanent places. The only advertising we will permit in the game will be where it adds to the realism of the experience in a non-intrusive way, such as branding for your sponsors, jerseys, stadiums and the potential for optional video ads before matches and at half time to advertise a match sponsor, which will reward the viewer with tokens. While we do not have any real world sponsors to use for in-game branding yet, this is on our roadmap for review once we have a viable user-base. Anyway, enough of all that. It is now time to look at the game system, PTW and our model of Pay-for-Variety (PFV). We have already talked about decks, cards and slots. The important thing to grasp about the whole system is that every day a user receives, for free, all the cards they need to play into every available slot they have, and the amount of cards scale up as more slots become available. So without having to spend any tokens whatsoever the user is able to accomplish everything they need to do. There is no necessity to purchase additional decks to gain more cards, nor will a paying user be able to do more than a non-paying user. The slots available are determined by building tech advances and these are never bought through tokens, but through spending the club’s money on building upgrades, and it’s worth noting that a user cannot spend tokens to get more money for their club. So if a user has all the cards they need to play into every slot, why would a user ever want to purchase additional decks, either with tokens they have earned for free or tokens they have bought? The answer lies in the focuses that cards have. Every card in a deck has a focus, determined randomly. This focus determines what type of benefit the card will bring to the slot where it is played. For example, a training card with a Passing focus played into a slot attached to a specific training session will boost the passing training in that session – the session will train up all the skills that are part and parcel of it, but an extra bonus is given to passing. All cards give the same level of bonus (the quality of every card is equal), just the focus of the bonus changes from card to card. Given all that, while all cards have equal quality, a user may want to play a card with a specific focus into a specific slot. If a user’s free decks that day have not supplied a card with that specific focus, the user will either have to play an alternative card or source the card wanted from a deck they have bought with tokens. For example, suppose a user is running a training session for some backs, which is training tackling and passing, amongst other skills. The user wants to boost the gains from the tackling training, so wants to play a training card with a Tackling focus into the slot attached to that session. Unfortunately, the user does not have a card with that focus. They have a training card with a Passing focus available instead. The user has a choice – they can play the Passing card and receive a boost to the passing training, or they can try and source a Tackling focus card by buying a training deck with tokens. If the user chooses to play the Passing card they have not lost out on the size of the bonus they receive, as the size of the bonus would be the same for both a Passing and a Tackling focus. Instead what they have missed out on is the bonus being applied to tackling, as the bonus has gone to passing instead. The only caveat to what has been explained above are synergy bonuses. As explained earlier, if a card’s focus matches a key thing covered by the slot, then there is a small synergy bonus applied to that thing. Using the training example from above, suppose the tackling skill in that training session was actually a key skill for that session. If the user did acquire a training card with a Tackling focus and played it, that card would give the additional synergy bonus. In that situation, the Tackling focus card does give a small additional bonus over the Passing focus card, so the gains from both cards would not be equal. While synergy bonuses are obviously beneficial, there can be times where playing a different card without the synergy bonus is something that the user would prefer to do. It all depends on what furthers the user’s goals the most. This is what we have coined the Pay-for-Variety (PFV) system – by paying tokens a user widens the available choice of cards they can play into a slot, and so increases their ability to fine-tune their options. Hence the user is paying for variety in their available cards. A non-paying user is still receiving exactly the same level of bonuses, as every slot is filled with a card, and all cards give the same quality of bonus, bar the odd synergy bonus, just the range of card focuses they can choose to play is narrower, so they have less options. The answer depends on how you look at it. A paying user is not receiving cards of a greater quality, nor are they playing a greater quantity of cards than the non-paying user. So on that level there is no PTW in the system. However, a user with a greater variety of cards to play can specialise more easily, and make greater gains in an area they have the luxury of choosing. Looking at it through the prism of player training, a paying user may be able to train his prop more intensively in the scrum skill (they will be able to gather and play more Scrum focus cards on training session the prop partakes in, and maybe acquire some synergy bonuses along the way), but it will come at a cost of being less intensively trained elsewhere. The non-paying user will have to be better at playing his cards, be more aware of the options they have and the most efficient way of getting the best out of the cards they have. In addition, it is worth remembering that non-paying users can still gain tokens for free and so can still buy additional decks without having to pay real money for them. They can still have a wider choice and variety of cards to play than those they receive daily, but they will have to be more circumspect in how they distribute their tokens, prioritise their needs and plan ahead. The bottom line is that a non-paying user will have to work harder than a user who pays, but then the non-paying user is playing the game for free, whereas the paying user is helping to support the company and keep the game going. Is there some PTW there, after all that? Perhaps, but minimised to the greatest extent we know how to do, given the financial realities of the industry we are in. We sit within an industry where mobile games are heavily monetised and PTW is the norm, not the exception. We think that our PFV model is a great system and meets the demands of both the game community and the business stakeholders. We could have decided to run with a straightforward PTW model, as most, if not all, of the major players in our niche have, but we didn’t want that, and after much head scratching and long hours, we came up with the PVF design. We realise that there will always be some that are not going to be satisfied, but we are proud of the system we have created, and we hope the BR community will like it too. On a final note before signing off for now, I need to point out that our PFV system is an un-proven model and our investors have voiced concerns about its ability to generate a viable income per user (IPU). We believe that PVF will work in this regard, but the proof of the pudding will come when we do our beta testing. As such, as developers, we have to reserve the right to add further monetisation features that have proved successful in other games in the industry if necessity forces us to do so. We do believe in the system we have created, but walking an untrodden path is always a bit of gamble and a little scary to boot. We hope it will not be necessary to add more aggressive monetisation features into the game and are proceeding on the assumption we won’t be, but only time will tell. We felt it was important to be honest about this with the BR community who has stuck with us for so long. As wise baseball folk seem to have a tendency to say, “if you build it, they will come”. Fingers crossed they are right!